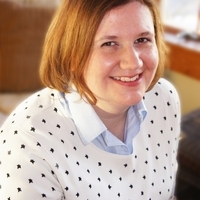 I'm back with an all new blog tour hosted by Xpresso Book Tours. Welcome to A Prom to Remember Blog Tour. Sandy Hall is my go-to author when I need something fluffy and adorable, so I couldn't be more excited when I was accepted to be part of this tour. "Love it or hate it, you’ll never forget it. In this heart-warming novel, Swoon Reads star, Sandy Hall, explores a classic high school celebration, capturing every relatable and hilarious teen milestone along the way. Cora: Dating Perfect Boyfriend Jamie. Has NO IDEA how to break up with him. A Prom to Remember follows seven teenagers while they get ready for the biggest night of their lifes: Prom Night! Diversity. Sandy Hall always knows how to write a story for everyone - a story that doesn't leave anyone left out. 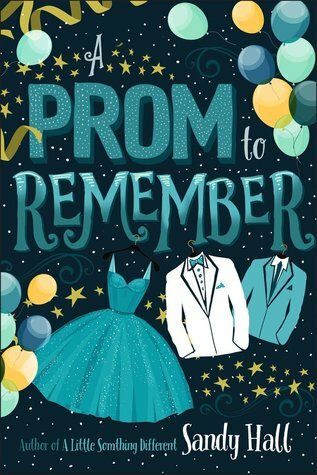 In A Prom to Remember the author offers a cast of diverse characters (from ethnic groups to social orientations). Hall always tries not to leave anyone left out. All the fluffiness! As I mentioned above, Hall writes the the cutest contemporaries. Her stories are always so freaking cute! 😍 If you have never read A Little Something Different, you should definitely do it. It also has multiple point of views (it even has one from a squirrel and another from a bench). Seven points-of-view. There were too many characters (and side characters). It was difficult to keep up with all the story lines and create a connection with any of the kids going to prom. While in A Little Something Different there are also multiple POVs, they are all reflections about how these two people should be together, so I found it easier to connect with them. However, I did like Paisley (she may or may not have reminded me of me back at high school and not really wanting to be part of anything) and Henry, even though his social anxiety wasn't well portrayed. Hall is famous for having a lot of POVs. I think A Little Something Different had like 22, but I find her books to be a lot of fun. This book sounds so cute! It's my first time hearing about it :D Lovely post, thank you for sharing!